In 2003, I finished up my most successful feature film, “Two Days with Juliet” We held the premiere locally at the Days Inn in a conference room to a packed house of about 60 people. It was a surreal sort of night. It was the best a small town could do for a little tiny film. During the Q&A immediately following the film, I announced that my next project was going to be a WWII film with Harold, the lead from Juliet, as the central piece. Harold looked at me, crooked his head sideways and shrugged his shoulders in agreement. 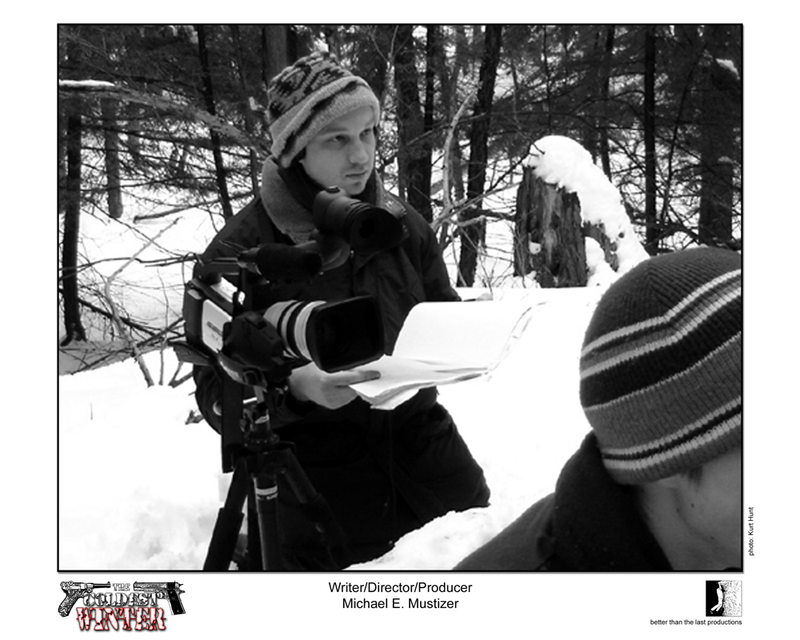 The idea for Cold Winter initially stemmed from an idea that my production partner Tim and I had come up with. We were initially going to do a short Star Wars fan film with a Stormtrooper and a Jedi trapped on a remote planet and the two would have to work together for a common goal, a la “Hell in the Pacific” It was a neat idea, but for where we stood at the time, fresh of from Juliet and nowhere near ready to be that big of geeks to purchase a stormtrooper costume that I began to scheme on changing the setting. Eventually WWII came up. 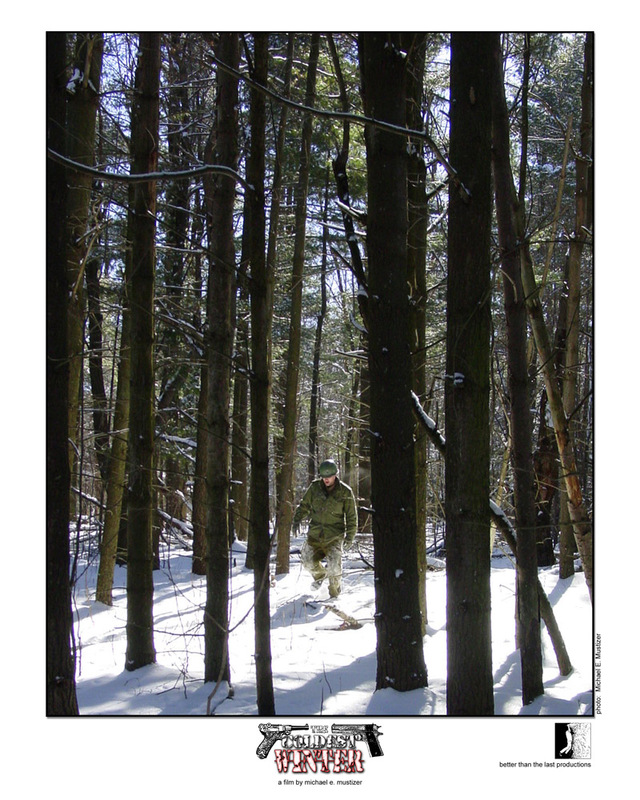 I began scripting a short film that we could shoot in our backyards in Northern New York, deep within what the call “The Snow Belt”. 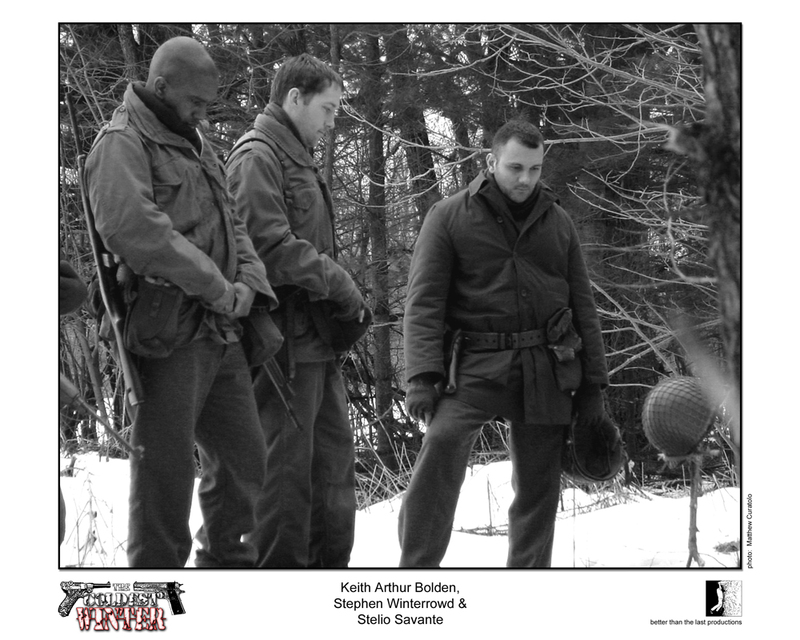 With snow as a backdrop that set the story in the Ardennes. The story was a road-runner/coyote-esque chase as these two soldiers chase each other than have to come together for a common cause or die from the cold. As the story progressed I had roughly forty pages and the ideas for a no budget feature-length were creeping into my head. If I can shoot a feature with two people in the field, why couldn’t I add in another storyline with a few more? So, I started to write a second story and wove the two pieces together into what is The Coldest Winter. The idea for the spaghetti western aspect of it came early on, as a direct result from our spaghetti western comical shorts “Lance Manly Kung Fu Cowboy” (you tube it) Tim and I were so immersed in spaghetti westerns at the time it just seemed natural to continue on in that same vein. Once written, I immediately set out to casting. I placed an ad in Backstage. I set up a rehearsal space in New York and after two months of receiving headshots from actors from all over the country, I had narrowed it down to about thirty people after throwing out four large trash bags worth of headshots and resumes. The screen tests went fast and furious, but it was obvious that my crew was sticking out far and beyond the others. I had cast my film. Shooting began in February of 2005. It was a blistering two-week shoot. We shot in wind and rain and deadly cold. We suffered and we all grew together as a cohesive unit. There were many days where I shot alone with two actors and the crew stayed at home circled around the fireplace. We laughed. We fought. We cried. But we all had faith in the script and it carried us through. We became that band of brothers during that shoot and to this day, have an unspoken bond between all of us. 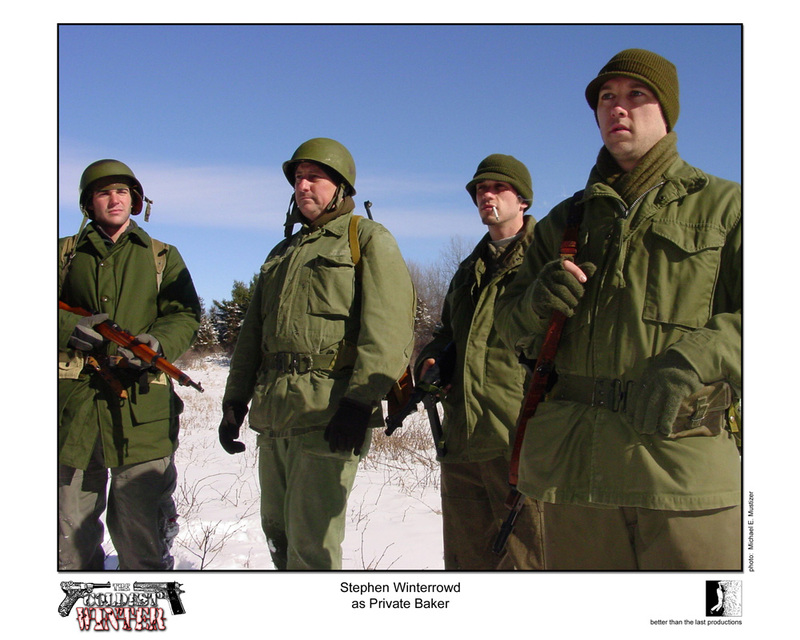 The Coldest Winter will stand the test of time as the Greatest WWII Movie ever made for less than $1000. I spent more in festival submission fees than I did to fund the movie. High concept action CAN be made with a little heart and a lot of passion. Behind the Scenes featurettes can be found at the Facebook page for the film.